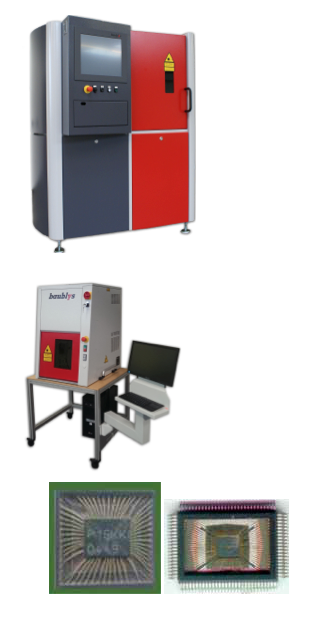 BSET EQ is the exclusive distributor for Baublys Laser products in North America for all industry applications. We are worldwide distributor for I.C. Decapsulation applications. The product line is divide into two system formats. This configuration is our most flexible format. With our roomy yet beautiful chassis, capable of housing upgrades such as our Duo laser format of 562 nm for cross section work and our standard 1064 nm for standard applications. This format also accommodates the fully automatic PLASER™ plasma finish solution. This configuration saves space in your laboratory yet provides the same quality laser technology as our stand alone system. The system can be upgraded to include our manual PLASER tm plasma finish feature.